Bir KULLANILAN arıyorsunuz 320D ? Arlyn Scales is a leader in the design and development of technology for the weighing industry. 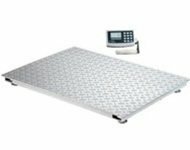 Headquartered on Long Island, New York, our company has been manufacturing electronic weighing systems for more than thirty years. Yeni satın almak isteyen ARLYN 320D ?